Excursion: "Creole - Melody Tour Praslin & La Digue"
Experience two of the most beautiful islands in the Seychelles in one day. First up is the island of La Digue. With its relatively small population, La Digue is the most untouched of the three main tourist islands. Your tour will start with a visit to L'Union Estate, slowly unveiling the surprises of a deep-rooted farm life through discovery of the copra mill, giant tortoise pen, and the time-honoured plantation house. 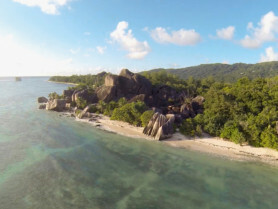 As you go further, you will be welcomed by giant boulders of granite nestled on the pristine, world-famous beach of Anse Source d'Argent, which is said to be the most-photographed beach in the world. Here, opportunity awaits for a revitalising dip in its rippling turquoise waters while the Iles des Palmes Hotel team prepares a sumptuous Creole Lunch at La Buse Restaurant. 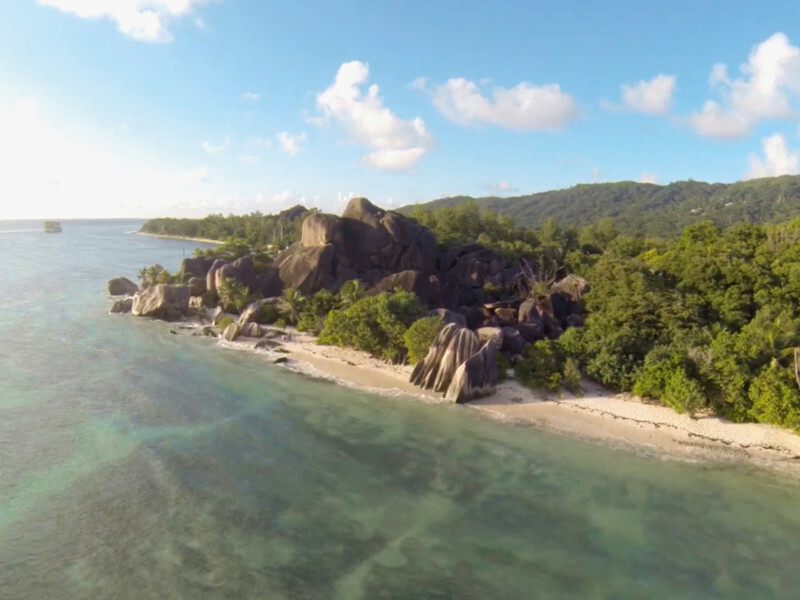 After discovering the beautiful island of La Digue, it's time to head to the historic Praslin island. To kick things off, you will be transported to the enigmatic Vallée de Mai, which is home to the extraordinary Coco de Mer, a double-lobed coconut remarkable for its shape, which grows on these ancient trees. 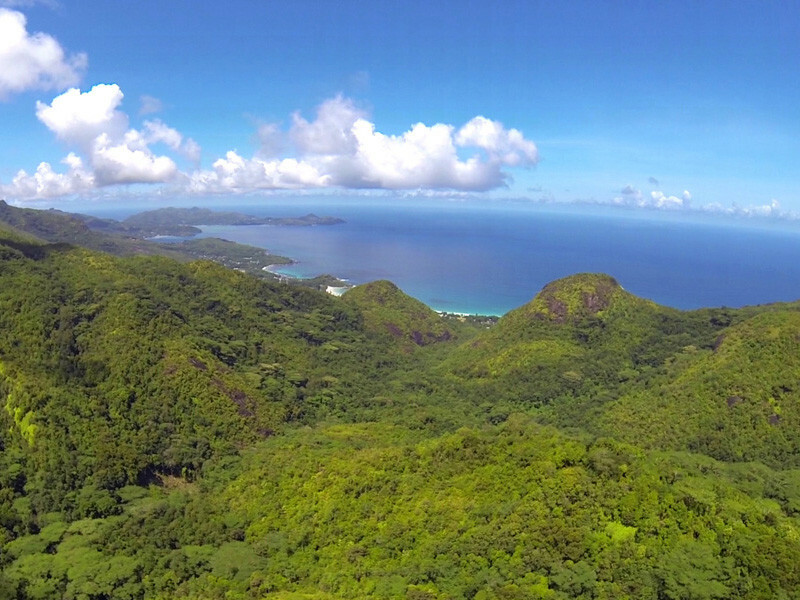 The Vallée de Mai has even been said to be the biblical Garden of Eden, and the Coco de Mer its forbidden fruit. This was also once the property of the ancestor of the directors of Creole Travel Services. Serenaded by the birds' tweeting and the serene sounds of the forest, the tour guide will lead you through this magical land of rare endemic bird and plant species. 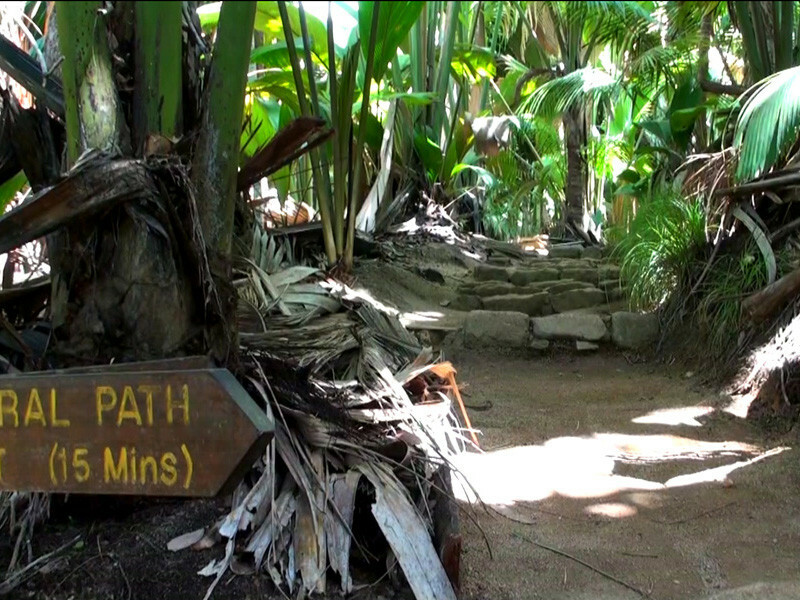 Next, you will head to the Praslin Museum at the Cote d'Or, which provides a summary of the Seychelles culture. 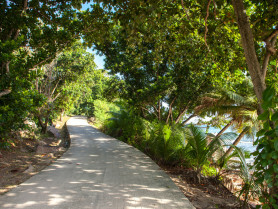 Finally, rejuvenate and give your feet a rest at the world-renowned beach of Anse Lazio. Join this unmissable tour of some of the Seychelles' most iconic landmarks, where you will be transported to the mysterious Vallée de Mai, home of the legendary Coco de Mer, a double-lobed coconut that takes the form of a female pelvis, growing high on ancient palms in this primitive valley. The shaded glad, once believed to be the site of the biblical Garden of Eden, with the Coco de Mer being its forbidden fruit, was also once the property of the director of Creole Travel Services' ancestor. Here, you will enjoy a tour of the mystical realm, seemingly lost in time, along meandering pathways beneath the canopy of century-old palm trees, all the while serenaded by the birdsong of rare, endemic bird species. Discover the culture of the Seychelles afterwards with a short visit to the Praslin Museum before heading on to your next destination. The tour continues with a ferry over to La Digue, where you can wonder at the same sights that filled the hearts of early explorers to the Seychelles with such glee, riding the ocean waves to this timeless island where ancient tradition is still the order of the day. 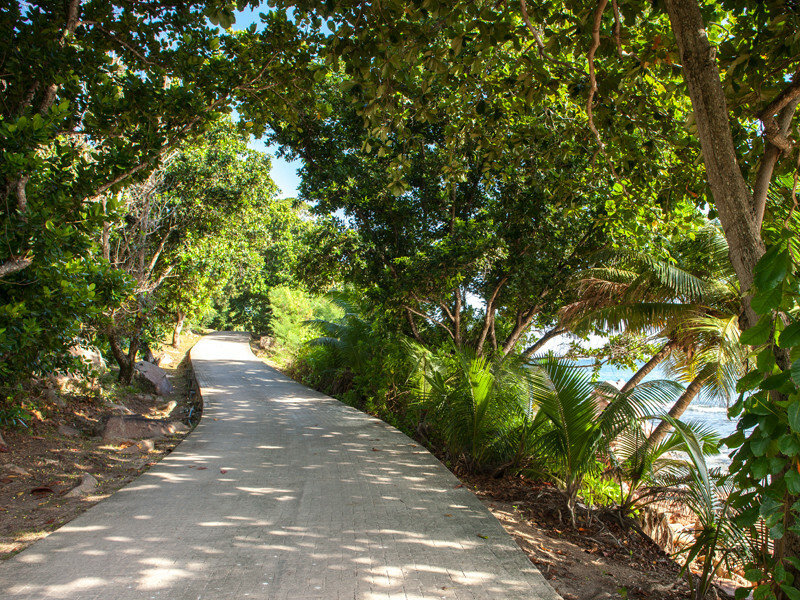 At La Digue's quaint jetty, you will be offered refreshing, freshly-picked coconuts, before your visit to L'Union Estate, where the secrets of old plantation life will be laid bare on a tour of the copra mill, of the giant tortoise pen, and the glorious old plantation house. The next stop will be the world-famous beach of Anse Source d'Argent, which is said to be Earth's most-photographed beach. Take a dip in the turquoise waters here while a delicious Creole meal is prepared at the enchanting Domaine de l'Orangeraie, followed by an afternoon spent relaxing on the beach. Light, casual clothing, comfortable walking shoes, beachwear with towels, protective lotions, and cash or credit card are recommended. 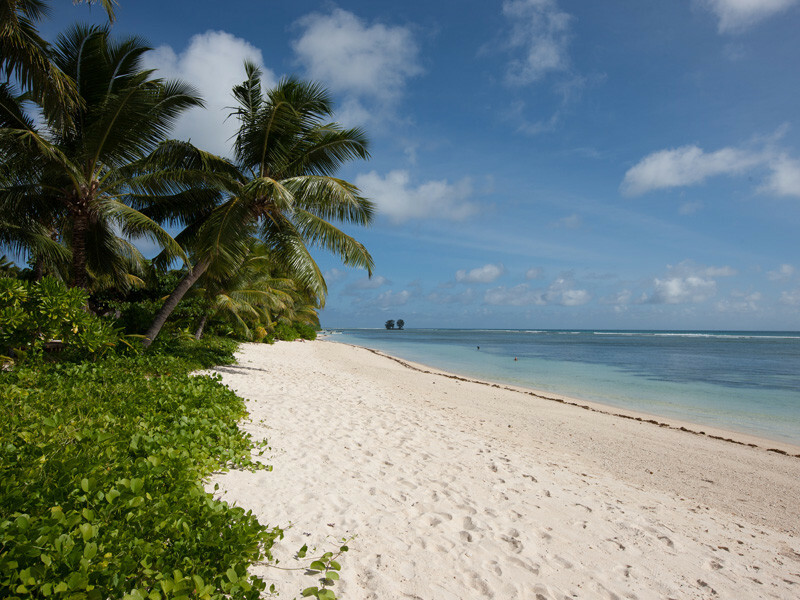 The excursion starts at the clients' respective hotels on Mahé. Ground transfer by coach from the accommodation on Mahé to the starting point of the tour at the Marine Charter is included. Creole Travel Service will pick up the clients at their hotels between 5.40am and 6.45am from Mahé. Please refer to the pick-up times list for more information. The tour starts at 7.30am. The departure time for the return journey will be either 5.30pm (Tuesdays and Thursdays) or 5.30pm (Saturdays) at the jetty on Praslin. 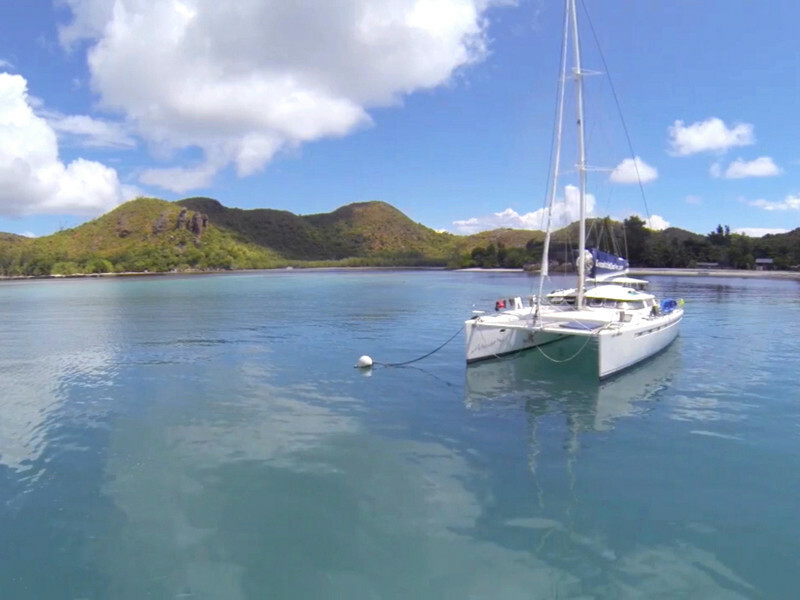 Guests will arrive at the jetty on Mahé at 6.30pm (Tuesdays and Thursdays) or 7.00pm (Saturdays). The excursions can also be organised for clients staying on Praslin. For prices and details, please contact the SeyVillas team. 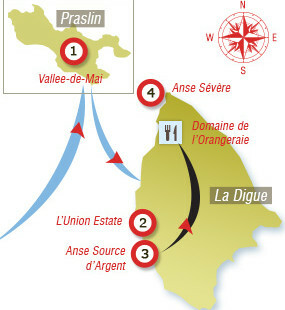 "Creole - Melody Tour Praslin & La Digue"